In determining whether an employee should be part of, or file a class action for unpaid wages, versus the filing of a single case for the employee’s recovery of unpaid wages, the employee must receive proper analysis from an ethical labor lawyer who will estimate and calculate the employee’s damages for unpaid wages. 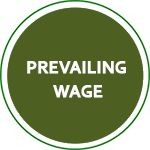 IF YOU ARE NOT INTERESTED IN A POTENTIAL CLASS ACTION FOR UNPAID WAGES CLICK THE WORD THAT CORRESPONDS TO YOUR ISSUE WITH UNPAID WAGES: BONUSES, COMMISSIONS, DOUBLE TIME, MEAL BREAKS, OVERTIME, REST BREAKS, PAY STUB ERRORS, PREVAILING WAGE. The employee is owed enough money in unpaid wages an attorney will take the case, properly represent the employee on a contingency, and follow through. The employer does not have sufficient funds to pay numerous, similar unpaid wage claims brought by numerous employees, or through a class action, but they have enough to pay the employee’s individualized claim for unpaid wages. The employee can get in and out of an unpaid wage case just about themself a lot faster than a class action and they can find a lawyer who will take their case on an individualized basis. The employer is a chronic violator of labor laws. Somebody needs to stop them. A class action will result in many witnesses coming forward because the court will require potential class members to be notified of the class action. No lawyer will take the employee’s small case for unpaid wages. While this might seem selfish it is a very practical circumstance to an employee wanting to sue. The employee may receive additional compensation being a class representative which will lead to more recovery for the employee owed a small sum for unpaid wages. Somebody is going to file a class action for unpaid wages if I don’t, and I’d rather control the class action and make sure I can find the best attorneys to represent the class, and not let it settle cheap. Many unpaid wage cases are very small, or too small for an employment lawyer to take as only one case. In those circumstances, class action representation for Labor Code Violations for unpaid wages may be the employee’s only recourse. However, in cases in which the average employee is owed tens of thousands of dollars, the employee may be best off filing their own action for unpaid wages. "It is no accident that 'wage and hour disputes’ (and others in the same general class) routinely proceed as class actions,” Ghazaryan v. Diva, 169 Cal.App.4th 1524, 1538 (2008). 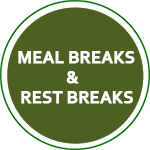 Meal and rest period cases have been deemed analytically appropriate for class certification along with the issue of whether the failure to provide compliant pay stubs is therefore an issue, Jaimez v. Daiohs, 181 Cal.App.4th 1286, 1299 (2010); Brinker is a meal break case. Wage and hour disputes generally proceed as class actions, Prince v. CLS, 118 Cal.App.4th 1320, 1328 (2004). The issue as to whether business conditions created by management made it infeasible, despite management's encouragement to take meal breaks, has been deemed a suitable issue for class treatment, Jaimez at 1300. What Is The Law On Employee Class Actions? "Code of Civil Procedure section 382 authorizes class actions 'when the question is one of a common or general interest, of many persons, or when the parties are numerous, and it is impracticable to bring them all before the court...'" Sav-On v. Sup. Crt., 34 Cal.4th 319, 326, 17 Cal.Rptr.3d 906, 911 (2004); California Code of Civil Procedure Section 382.
class representatives who can adequately represent the class, Lockheed v. Sup. Crt., 29 Cal.4th 1096, 1104, 1 Cal.Rptr.3d 7; Savon at 911.
is there is dissimilarity that has the capacity to undercut the prospects of joint resolution of class members' claim, Brinker v. Sup. Crt., 53 Cal.4th 1004, 1021-1022 (2012). 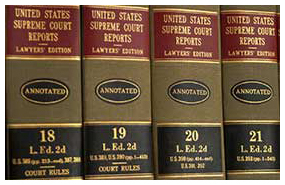 The ultimate question for class certification is whether the issues which may be jointly tried are so numerous or substantial, compared to the issues that are separate, that it would be advantageous to the judicial process and the litigants to treat the case as a class action, Lockheed v. Sup., 29 Cal.4th 1096, 1104-1105 (2003). If numerous and substantial issues are common amongst the class members, when compared to separate adjudication, the maintenance of a class action is advantageous to the judicial process and litigants, Lockheed, 1104-1105, citing to Collins v. Rocha, 7 Cal.3d 232, 238, 102 Cal.Rptr. 1 (1972); Linder v. Thrifty, 23 Cal.4th 429 435 (2000). Typical in class actions does not mean identical, Classen v. Weller, 145 Cal.App.3d 27, 45 (1983). The issuance of an employee handbook to all of the putative class members instructing them how to conduct themselves in respect to the challenged wage and hour practice is evidence of a community of interest, Ghazaryan v. Diva, 169 Cal.App.4th 1524, 87 Cal.Rptr.3d 518 (2008 review denied). Numerous claims are a reason for class certification, California Code of Civil Procedure Section 382. There is no minimum number of plaintiffs required as a matter of law to maintain a class action, Rose v. City of Hayward, 126 Cal.App.3d 926, 934 (1981). Under federal law numerosity is generally met if the potential number of plaintiffs exceed 40, Stewart v. Abraham, 275 F.2d 220, 226-227 (3rd Cir. 2001). Classes in California have been certified with as few as 10 beneficiaries to a trust, Bowles v. Nickel, 44 Cal.2d 574, 587 (1955), and 35 farmworkers suing for fraud and breach of contract, Collins v. Rocha, 7 Cal.3d 232, 234 (1972). The rules for California Labor Code Seccion 2699 representative actions are different. These PAGA Claims can be brought for the Labor Code Violations of fewer employees. Class actions are favored if they eliminate repetitious litigation of small claims, or create unjust advantage to the wrongdoer because the claims are of insufficient size to warrant individual action, Linder v. Thrifty Oil, 23 Cal.4th 429, 435, 97 Cal.Rptr.2d 179, 183 (2000). Without certification, the Sav-on court held that each individual plaintiff would have to present separate, duplicative proceedings with the same arguments, Id. at Cal.4th 339-340. This would result in multiple trials conducted at enormous expense to both the judicial system and litigants, Id. This would be neither fair, nor efficient, Id. However, merely asserting there will be numerous similar claims is not enough. Courts these days want to see commonality in the claims for a class action to be certified. 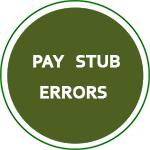 Bell v. Farmers, 115 Cal.App.4th 715, 744 (2004) held average claims of $37,394 for overtime that could include interest and attorney fees were small enough to believe the maintenance of a class action was the superior method of dealing with the claims. The Bell court also believed a class action was the superior method of adjudicating the claims because five years had already gone by at the time of the opinion and many of the claims only became large due to the passage of time which had a negative effect on memories should there be numerous individual lawsuits, at 745. The Bell court believed many of the current employees would not be motivated to bring individual claims due to fears of retaliation, and in order for there to be effective enforcement of the statutory policies behind the Labor Code a class action was the superior method of dealing with the situation. "Individual issues do not render class certification inappropriate so long as such issues may effectively be managed, " Sav-On at Cal.4th 334 citing to Richmond v. Dart, 29 Cal.3d 473, 174 Cal.Rptr. 515. A party may propose the use of subclasses and other innovative procedural tools to obtain certification of a manageable class, Occidental Land v. Sup. Crt., 18 Cal.3d 355, 364 n3 (1976). "The certification question is 'essentially a procedural one that does not ask whether an action is legally or factually meritorious,'" Lockheed Martin v. Sup. Crt., 29 Cal.4th 1096, 1104, 131 Cal.Rptr.2d 1, 6 (2003) citing to Linder v. Thirty Oil Co., 23 Cal.4th 429, 439-440, 97 Cal.Rptr.2d 179 (2000); Sav-On v. Sup. Crt., at 326. Certification should not be conditioned upon a showing that class claims for relief are likely to prevail, Linder, 443, 189. On this note, the focus during certification is what common factual and legal issues might arise, Savon, at 326 citing to Linder and Lockheed. 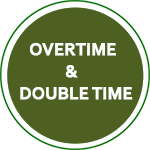 Call 1-877-525-0700 for a legal consultation about a wage and hour class action. Our firm strongly believes in employee rights. We have counseled many employees to forego the filing of a class action if it is not in their interests. However, there are times when a class action is the best remedy to recover unpaid wages. THE CONTENT ON THIS WEBSITE IS ONLY INTENDED TO RELATE TO CALIFORNIA LAW. THIS IS A WEBSITE FOR A CALIFORNIA LAW FIRM. DO NOT RELY ON THIS WEBSITE FOR LEGAL ADVICE. 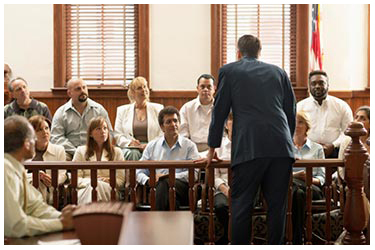 LEGAL ADVICE IS BASED UPON THE SPECIFICS TO EACH CASE, AND INTERACTIVE DIALOGUES BETWEEN THE ATTORNEY AND CLIENT. IN ADDITION, THE LAW CONSTANTLY CHANGES AND THIS WEBSITE DOES NOT. BY READING THIS WEBSITE YOU ARE NOT FORMING AN ATTORNEY CLIENT RELATIONSHIP.